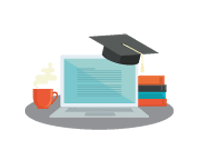 CERIC has a strategic priorioty to: Invest in an ambitious research and learning agenda that, through encouraging thought leadership, advances the career development field and builds its knowledge and skill base. CERIC makes funding and other types of supports available to develop innovative Research or Learning resources in career development. At the same time, CERIC also undertakes its own research projects in the form of surveys to track trends in career development. 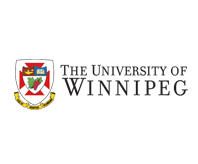 With support from CERIC and the Social Sciences and Humanities Research Council (SSHRC), a research team at the University of Winnipeg will examine best practices for helping refugees with career development, school-to-work transition and career decision-making. Led by Tannis Goddard, Dr Norman Amundson, Dr Spencer Niles and Dr Hyung Joon Yoon, this project will develop a range of counselling intervention methods and tools that can be used by a career practitioner when engaging a client in either face-to-face delivery or through online delivery. 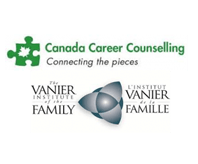 This partnership project with Canada Career Counselling and the Vanier Institute of the Family will develop socially inclusive, Canadian-specific and user-friendly career development resources for both women on maternity leave and their employers. 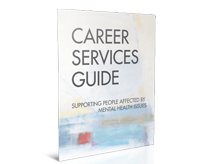 CERIC is providing funding for a project that will produce a web-based training manual for career development professionals aimed at improving employment and educational outcomes for people living with mental health issues. CERIC produces its own research to gain a better understanding of career development from the perspectives of different stakeholders. In the past, CERIC surveyed both Canadians and career development professionals themselves. For its latest survey, CERIC polled employers. CERIC commissioned Environics Research Group to survey 500 Canadian business leaders about the skills shortage and skills gaps, employee training and recruiting workers, as well as career management practices. Questions addressed hard vs. soft skills, youth unemployment and whether resumes still matter. The survey was co-sponsored by TD Bank Group. 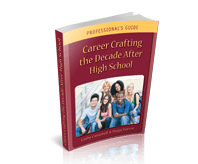 A revision to our popular book Career Crafting the Decade After High School: A Professional’s Guide outlines the context in which young people’s career journeys are unfolding today and introduces eight “career crafting” techniques to help them be proactive in the face of uncertainty. 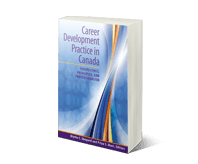 CERIC published Canada’s first comprehensive career development textbook, designed to be used as a learning tool for students, a resource for educators and a reference for career practitioners. Contributors are internationally recognized experts in the field in Canada, including Phil Jarvis, Roberta A. Neault, Nancy Arthur, Bryan Hiebert and Kris Magnusson. CERIC develops and presents a range of learning opportunities, enhancing the competencies of career development professionals and better equipping them for the changing demands of supporting their clients in building rewarding careers. Each January in Ottawa close to 800 professionals gather for Cannexus, Canada’s largest bilingual National Career Development Conference. The conference is designed to promote the exchange information and explore innovative approaches in career counselling and career development. It features world-class keynotes, 100+ education sessions, networking opportunities and a tradeshow. Cannexus is presented with the support of The Counselling Foundation of Canada and a broad network of supporting organizations. CERIC has been partnering with select associations and organizations across Canada to present a series of continuing education events. These “Mini-Forums” engage career development professionals in the communities where they work and provide valuable, cost-effective learning opportunities. 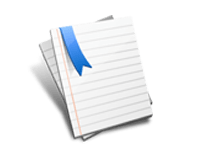 Past Mini-Forums have been held with the Association of Career Professionals (ACP) International in Toronto, ON, the British Columbia Career Development Association (BCCDA), Career Trek in Winnipeg, MB, and the Newfoundland and Labrador Association of Career Practitioners (NLACP). CERIC partners with leaders in career development to present webinars, as part of a mandate to build knowledge and skills in the field. Webinars offer convenient, accessible and inexpensive professional development to practitioners across Canada and beyond. Those engaged in career development research – both academics and graduate students – are critical stakeholders to CERIC. Through their research they create and refine the theories, models and approaches that support successful career development. 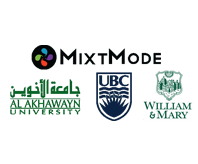 CERIC is committed to connecting with Canada’s full-time graduate students whose academic focus is in career development or related fields through the Graduate Student Engagement Program (GSEP). By reaching out to faculty members, graduate program co-ordinators and students, CERIC works to introduce the next generation of career development researchers to its programs. Canada is home to many leading researchers across the country, whether at universities or within community-based settings, doing important work across many areas of interest within the career development field. 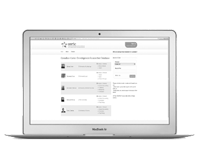 This CERIC database brings this rich information together in one easy-to-use searchable online resource. CERIC compiles literature searches that consist of key articles in various areas of career development. Organized around themes such as Aboriginal Issues in Career Development/Counselling and Mental Health Issues in the Workplace, these bibliographies can be used by researchers or anyone looking for the latest thinking in the field.